I recorded the sophomore album with Xylofaux in the winter of 2011/2012 at the legendary Seaside Lounge Recording Studio (Nicole Atkins, Ted Leo, Beirut) in Park Slope Brooklyn. 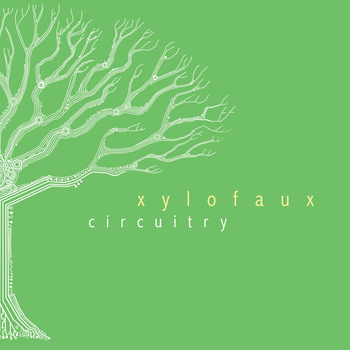 In 3 days we tracked almost every part of Circuitry in a live fashion. We recorded to a beautiful but very fragile 3m M56 16 track 2″ tape machine. This machine is one of, if not the sweetest tape machine I have ever used. It is rather touchy but once it is working well it screams tone in a manner than brought this Xylofaux record to a new place sonically. It made the drums sit in this smooth 70’s fashion that placed the record in another time, yet with a hint of a modern sheen from Pro Tools (in mix) as well. We mixed at The Buddy Project Recording Studio in Astoria New York. 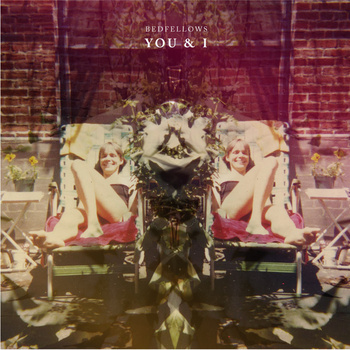 Bedfellows is the project of singer songwriter Justin Vassallo. I started working with Justin in the winter of 2008 with his noise rock band Technoir MA. We quickly built a rapport of synth production and overly complex wordy descriptions to sounds. Bedfellows is the result of the years of discussion about the social implications of effects pedals or cultural relevance to house music. You and I was started at Q Division in Somerville Massachusetts. Q Division had a great selection of vintage analog synthesizers that we used throughout this record. We recorded in studio B which has a fantastic sounding Trident Series B console. This was one of the first studios I started recording in so I have a fondness for the vibe and character of Q Division. We finished overdubs and mixed at The Buddy Project in Astoria New York. 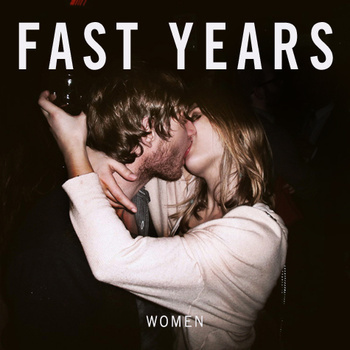 Fast Years is a collaboration between Micah Weisberg (I Love Monsters) and Bill Dvorak (Gunfight). We recorded this mini album over the course of three days at The Kennel Recording Studio in Brooklyn NY. The concept was to shoot for inspired live takes, with minimal overdubs. The result is a raw, distorted power pop record with a sense of PBR soaked loft parties. I mixed The Women EP at The Buddy Project in Astoria New York. This studio provides a hybrid of analog and digital gear to create a classic sounding mix without the expense of a large mix room. The vocals were processed through an Orban spring reverb and a Vox AC15 guitar amp to get that “pumped up but distant” sound. In the spring of 2011 I happened upon a young band at a rock venue in Park Slope Brooklyn called South Paw. 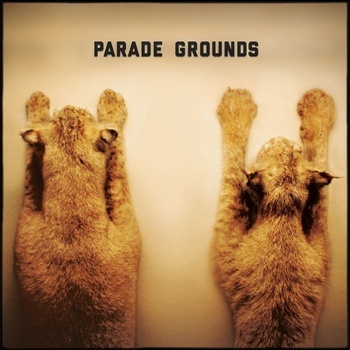 South Paw closed months later but that young band, Parade Grounds was worth a second listen. After much discussion with Jared Sochinsky about the nature of his debut album we spent a few days recording at The Kennel Recording Studio to sculpt the basics for his first record. We recorded his basics live to 2″ tape and edited within protools. The session was intimate and warm with players close to each other as if in rehearsal but with fantastic isolation and sonic integrity. Jared then took these recordings into his home studio to finish overdubs and mixing. In the summer of 2006, Shane Michael Rose and fellow engineer Kevin Ennis recorded Pulling Out Just Enough To Win at Vindaloo, Aerosmith’s personal headquarters and recording studio. The privelege of working in such a facility offered the use of some of rock and roll’s most sought after vintage gear. Released in the spring of 2009, That Thing That You Want To Put A Finger To Is Because put Blackbutton on the map of vital Boston rock bands. Blackbutton and producer Shane Michael Rose strove to keep the record close to the live experience of Blackbutton, while still providing a well produced and exciting album. Over the course of 9 months in 2007-08 Shane Michael Rose and The Milling Gowns produced a growling, intimate and diverse album of gloomy pop. Through careful and arrangements and morose, post goth lyricism, Diving Bell Shallows created a notch in the bedpost of Boston pop rock. email: shane@shanemix.com for a complete list of credits and past clients.